When you think of belly dance do you think immediately think of women in sequins and heels? Think again, because this dynamic style of dance embraces a wide range of styles from the nightclub type cabaret, through the street dances of Egypt, to the hypnotic American tribal style. Suitable for all ages, sizes and .. yes, though uncommon in the west, even men dance in this style. At first Jade wanted a website not a blog and only started it because this is wordpress and it seemed kind of expected – and then happily found she loved blogging! The regular blogging only really began from Nov 2011, so this is still a new venture for Jade but she has many topics that she wants to write about. Jade endeavours to write about all the information she wishes she had when she started out belly dancing. 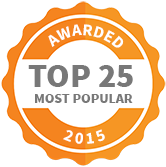 Sharing the advice that proved true and the advice that hasn’t been helpful. 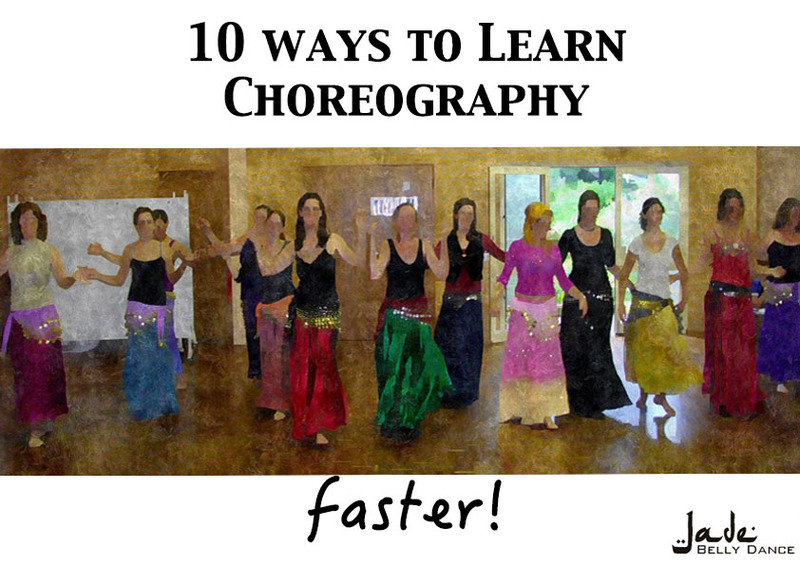 Topics range from info for beginner belly dancers to stuff for teachers and performers. She has a particular interest in self – esteem and health. She welcomes other opinions and submissions. While always a lover of dance, Jade did not pluck up the courage to have ago until after the birth of her first child. When she finally took a belly dance class in 1999, she was hooked! She was so taken with the style that she took every class that was on offer. She began teaching adult classes in 2003 and children’s classes in 2004. As a mother, Jade has particular interest in teaching children and teenagers and has taught both girls and boys at schools in NSW and Victoria. She holds an Australian Leadership – working with youth qualification and is also an authorised Active After-school Coach with the Australian Sports Commission. “I was always mesmerised by danced but thought it was the exclusive domain of those that started when they were little kids, plus I was painfully self-conscious!” says Jade. Because of the personal growth she has experienced through dancing, Jade is passionate about helping and encouraging others to have a go. “What I love most about this style of dance is that it allows dancers a great range of artistic freedom and is suitable for people of all ages, shapes and sizes. You can use it simply as a form of exercise to keep fit and healthy, a way of picking up a few moves to use on the dance floor or as a device to express yourself creatively” says Jade. She has a great love of the folk style of the dance but also enjoys Baladi, classical and American Tribal style. 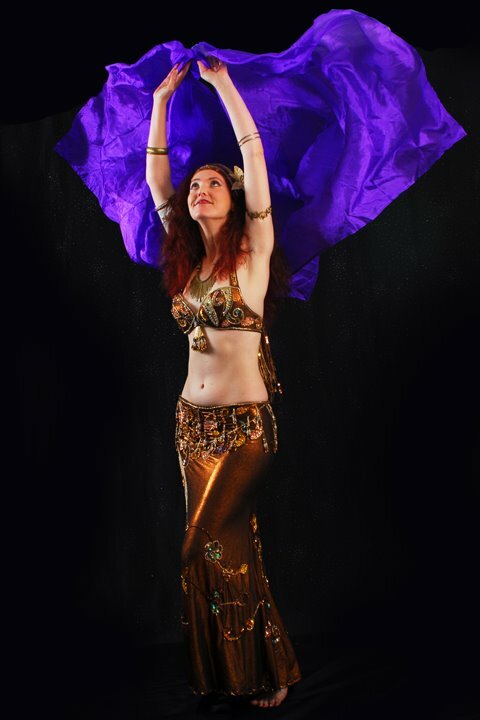 To further her knowledge, Jade has also taken workshops with accomplished belly dancers such as Liza Laziza, Yasmina of Cairo, Khariya Maazin, Caroline, Mohamed Kazafy and Lubna Emam (Egypt), Paulette Rees Denis (America) and Alessandro El Bascioni (Europe) Nahari (Tamsin Murray), Michelle Joyce (US) and Australian dancers including Amera Eid, Ayelet Ashkar, Leonie Sukan, Elenie, Shekhinah Morgan, Ruth Maitland, Karen Tolan and Catherine McCormick. In October, 2010 and April, 2014 she travelled to Egypt where she spent time learning new moves and absorbing more of the authentic feel and emotive aspects of Belly Dance and in 2013 she went to Turkey for private classes as well. Jade also enjoys playing the Egyptian Tabla (drum) and her specialities include finger cymbals and sword dancing. Her Earthy style has seen her performing at various events up and down the east coast of Australia and she regularly appears in the Coffs Harbour area with dance troupe The Jade Mirage. Jade has been the recipient of the “World’s Most Caring Organiser’ Award for her work with the local dance schools creating the first World Belly Dance day event on the North Coast of NSW in 2009. In 2012 she has been awarded a gold scholarship for the Western Australian Middle Eastern Dance Festival as well as being the recipient of a Regional Arts Grant from the Australian Government in recognition of her dedication to the art of Middle Eastern dance and her extensive work with charities and community groups. In 2016 she was an Australian cast member in BellyQueen’ s world class show ‘Journey along the Silk road’. Jade has a Bachelor of Science in Biology and Certificate IV in Naturopathy, and she uses her knowledge of Anatomy and Physiology to help dancers improve their technique and body awareness. She also combines the counselling skills learnt with her own experiences in overcoming stage –fright and self-confidence issues. She is also currently studying a Masters of Teaching. Contact Jade at jadebellydance@hotmail.com or phone her on 02 66554896.